Iran is planning to build Iraq’s first ever foreign University of Medical Sciences, Iranian deputy minister of health Bagher Larijani said. 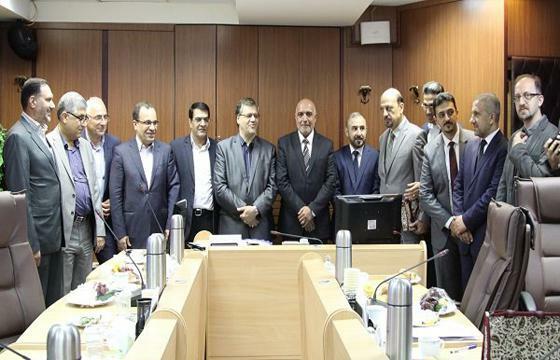 At the meeting of the Iranian Deputy Health Minister Dr. Bagher Larijani and a team of Iraqi medical officials in Tehran, the two sides reached initial agreements on cooperation on a number scientific and educational projects, including the construction of Iraq’s first foreign medical university by Tehran University of Medical Sciences under supervision of Iran’s Ministry of Health. “This project is being pursued in earnest by the educational department of Iran’s Ministry of Health in line with development of medical science education in Iraq,” Bagheri said, noting that the general aspects of the plan had been approved during the previous visit of Iraqi minister of health to Iran. Dr. Larijani also maintained that the two countries could expand cooperation on teacher/student transfer program, as well as formation of joint scientific networks in the field of research and scientific production. It was also decided that a joint committee comprised of officials from the ministries of health in both countries follow up on the implementation of the agreements reached at the meeting.